SENDAI - When you’re in desperate need of a win, a pretty good strategy is to give the ball to the guy who never loses and get out the way. 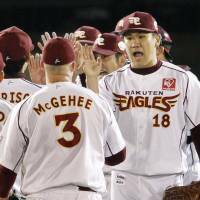 Masahiro Tanaka went the distance and struck out 12 in his Japan Series debut, getting a little help from a crucial blown call, to lead the Tohoku Rakuten Golden Eagles to a 2-1 win over the Yomiuri Giants in Game 2 of the Japanese Fall Classic on Sunday night at Kleenex Stadium. Tanaka was on his game from the start, feeding the Kyojin a steady diet of fastballs and splitters in another masterful performance from the right-hander in a game that went down to the wire. 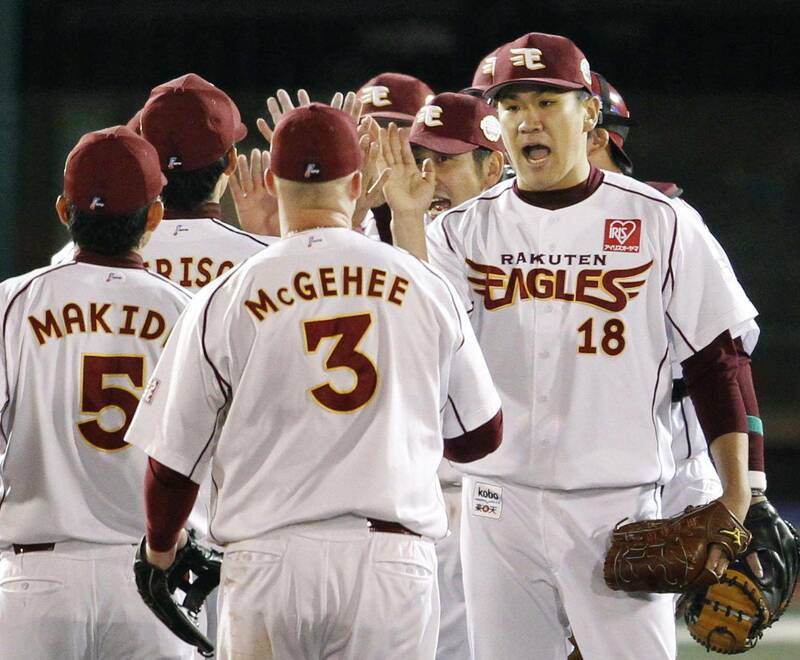 Ginji Akaminai backed up his pitcher with an RBI single in the sixth, and umpire Kenjiro Mori’s blown call at first base gave the Eagles a little more breathing room. 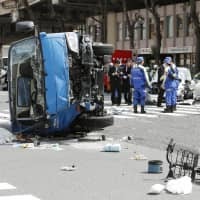 Rakuten led 1-0 with runners on the corners and two outs in the bottom of the seventh, when Kazuya Fujita hit a slow grounder to Giants second baseman Terauchi, who scooped up the ball and fired it to first base. Fujita went into the bag head-first and was called safe by Mori, though it looked as if the Giants had recorded the out. Replays showed Terauchi’s throw beat Fujita to the bag and should’ve ended the inning. 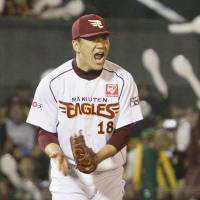 Yomiuri manager Tatsunori Hara emerged from the dugout to argue to no avail, giving the Eagles a crucial insurance run with their ace dealing on the mound. The significance of the call was magnified in the very next inning, as Terauchi hit what should’ve been a game tying solo home run. 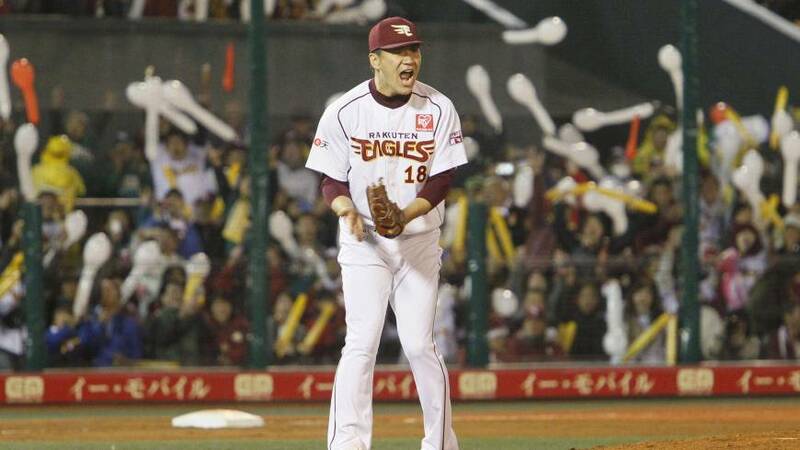 The Eagles bounced back from a 2-0 loss in Game 1 to even the series and avoided the prospect of being in a 0-2 hole as the Japan Series shifts to Tokyo Dome for the next three games. 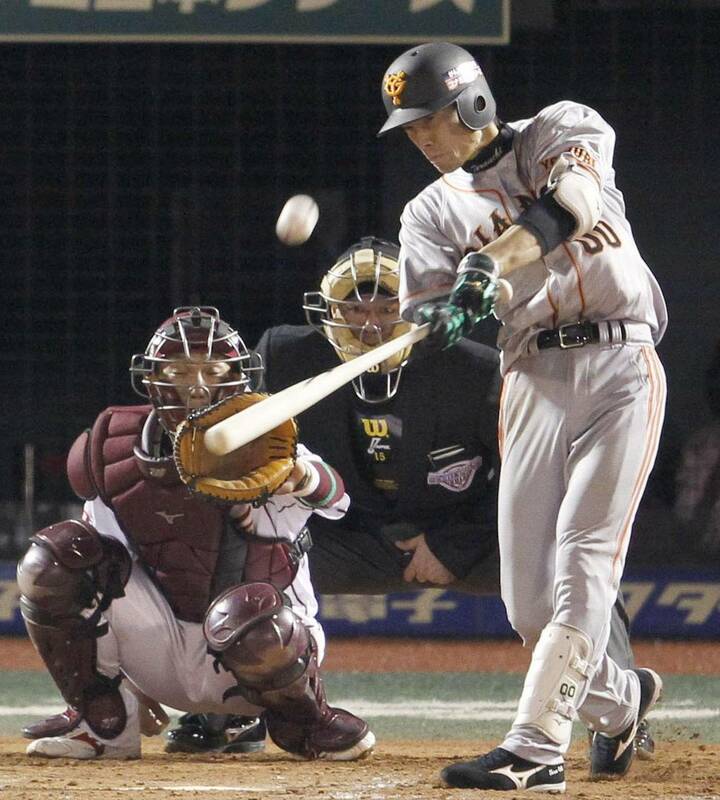 Giants rookie Tomoyuki Sugano pitched well, but was charged with the loss after allowing a run over 5 1/3 innings. 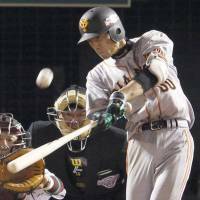 The Kyojin only managed three hits against Tanaka, with Terauchi coming up with two of them, including his second home run of the postseason. Tanaka still has yet to taste defeat this season. He finished the regular season 24-0 with a save, and improved to 2-0 (both complete-game victories) with a save during the playoffs. 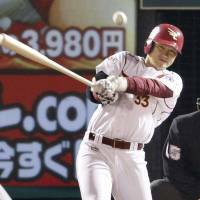 “Tanaka pitched just as well as he did all season, and the second run gave him more confidence, although he gave up the home run to Terauchi, who is not a power hitter,” Eagles manager Senichi Hoshino said. 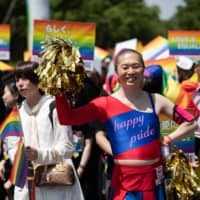 The only major trouble Tanaka faced came in the sixth when he loaded the bases, with two outs, for the Giants’ Jose Lopez, a .303 hitter with 18 homers during the regular season. Tanaka jumped ahead 0-2 in the count, but Lopez eventually worked it full. 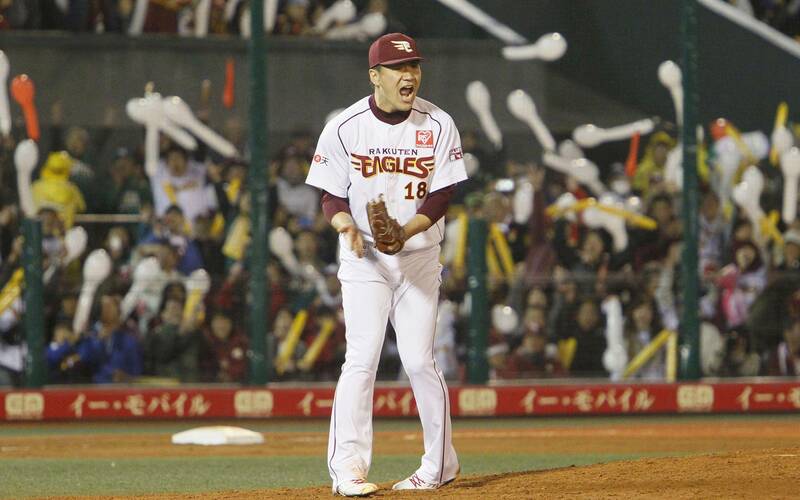 Tanaka blew a 152-kph fastball past him to end the inning, yelling and pumping his fist in celebration. “Striking out Lopez with the bases loaded peaked my emotions tonight,” Tanaka said afterward. Tanaka retired the Giants’ 5-6-7 hitters in order in the ninth to preserve the slim one-run win.